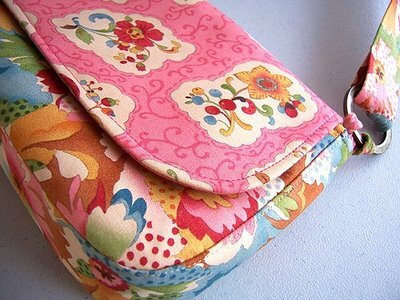 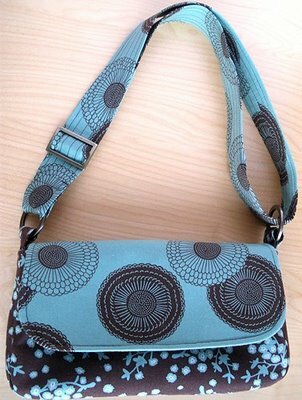 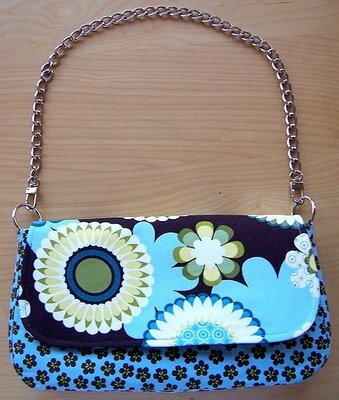 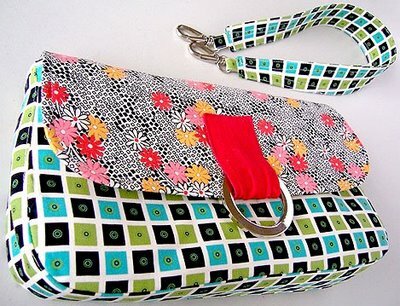 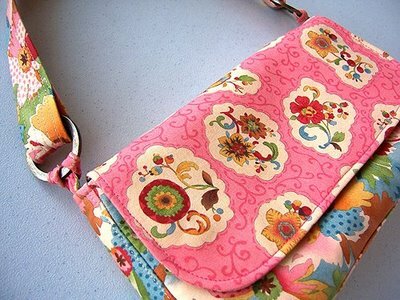 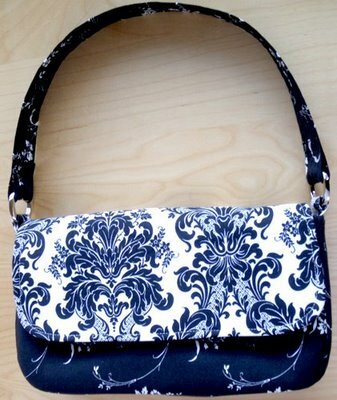 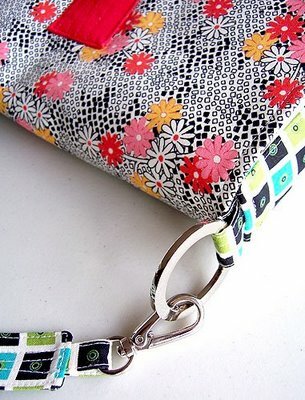 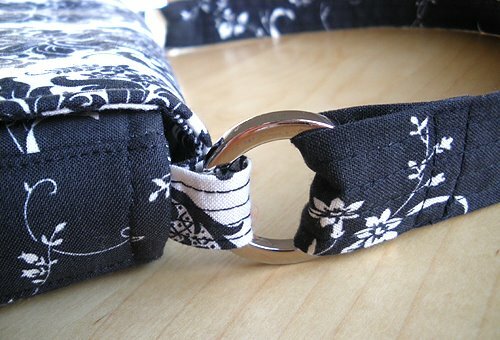 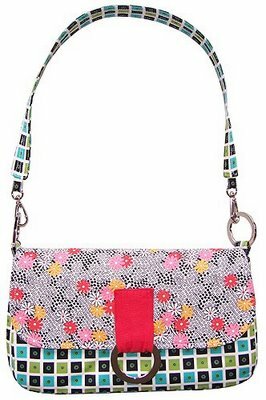 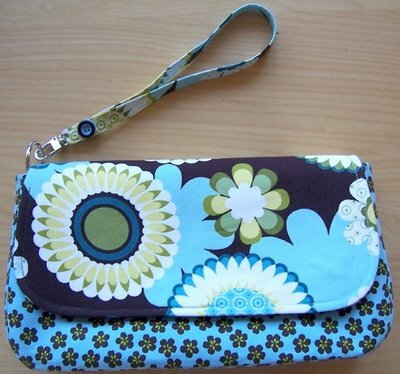 with a strap or handles or as a simple clutch purse. 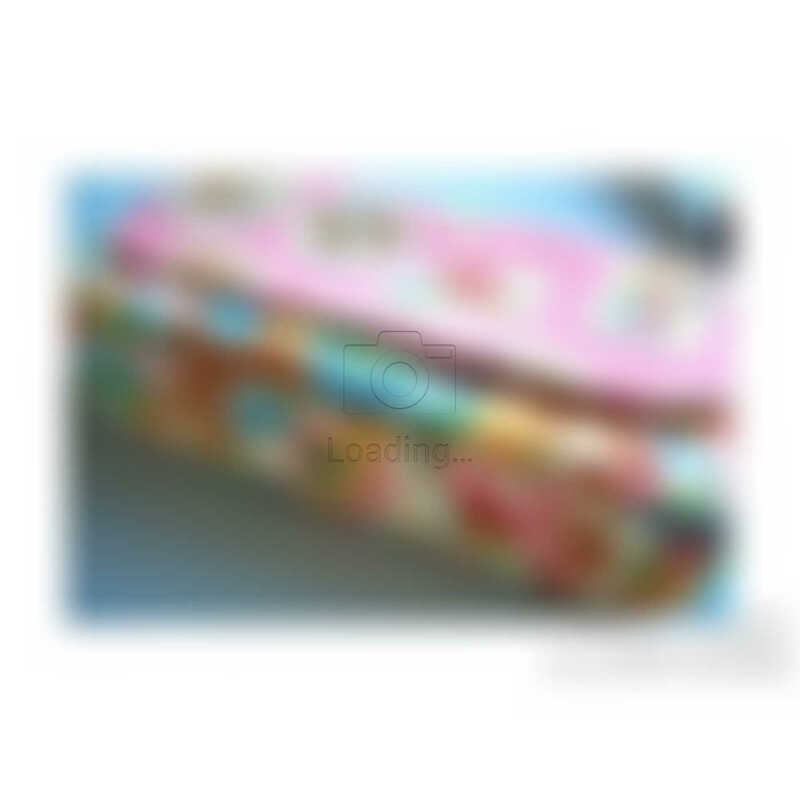 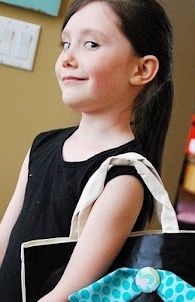 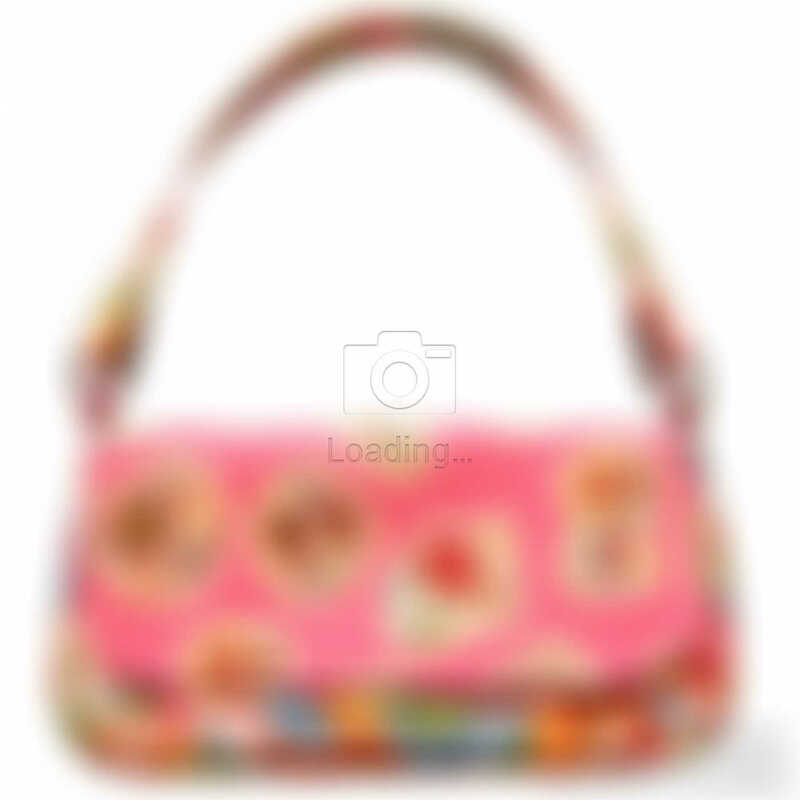 It also makes a cute kid's bag. 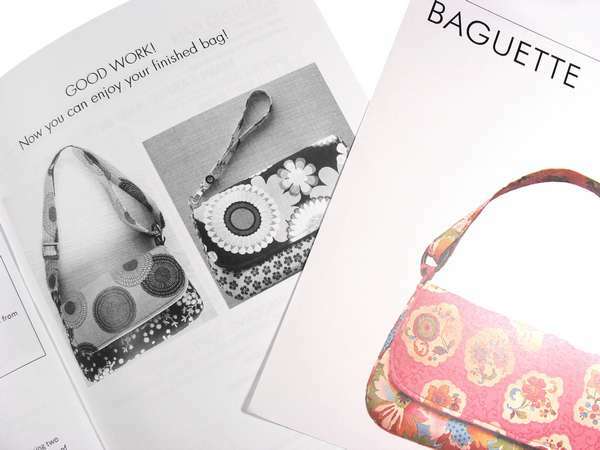 The Secret of successful bag making is having the RIGHT instruction. 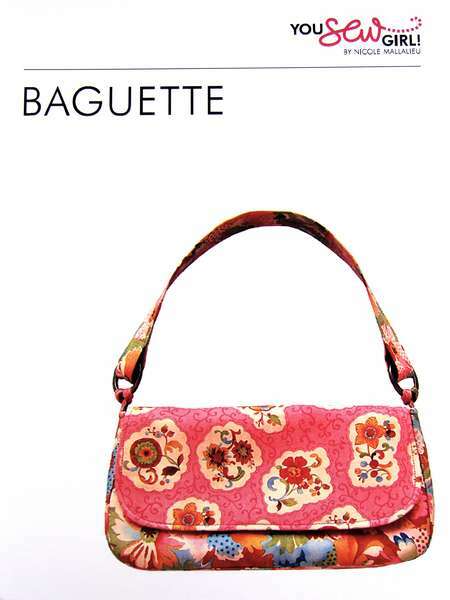 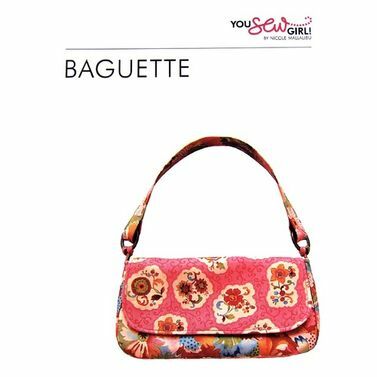 The Baguette is a sweet little clutch, handbag or shoulder bag that can be made with a variety of strap styles, handles or O-Rings. 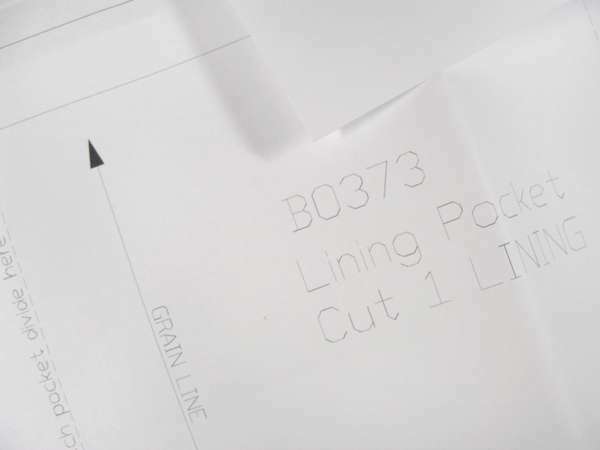 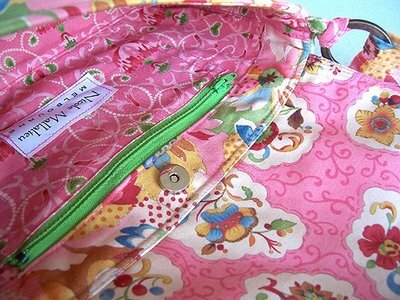 This patter will teach you to create a smooth curved bag shape with a zippered pocket, structuredbag base and lots of tips for a professional finish. 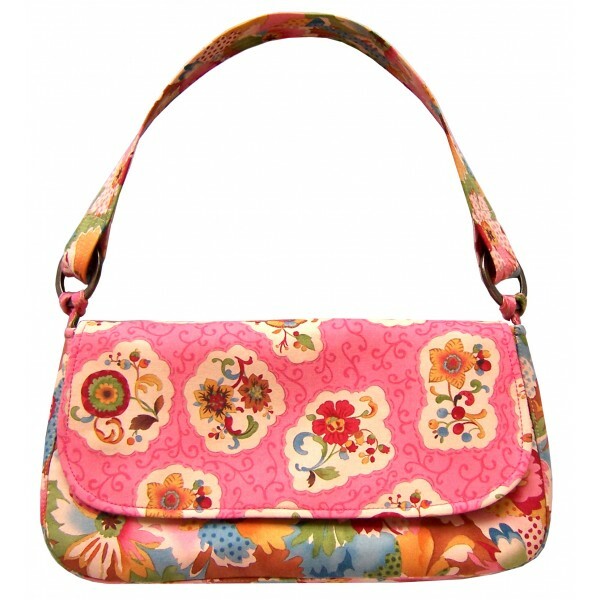 Vary the straps, fabrics and add your own personal touches to make a bag to match every outfit...!! 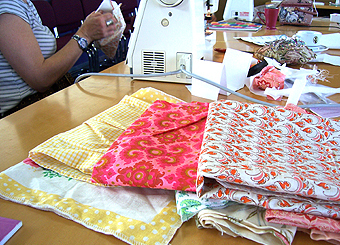 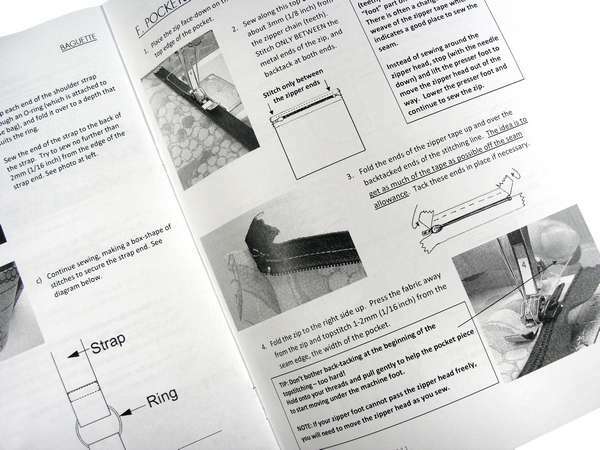 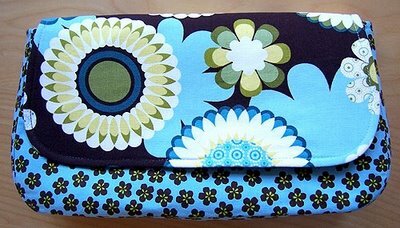 This level is perfect for you if you are an experienced sewist - that means you are confident with sewing various components of the bags and ready to learn how to make bags with gussets or other sections that require high level of accuracy in sewing. 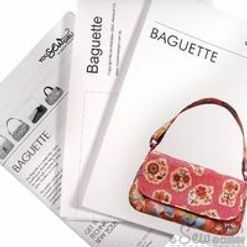 Having said that, this bag is not difficulat to make. 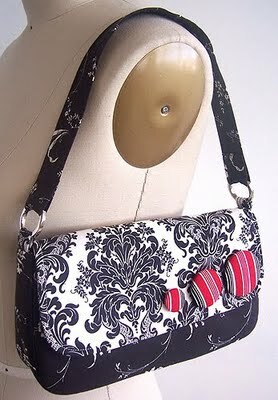 Though it DOES include a few structural details - which will "make" the bag. 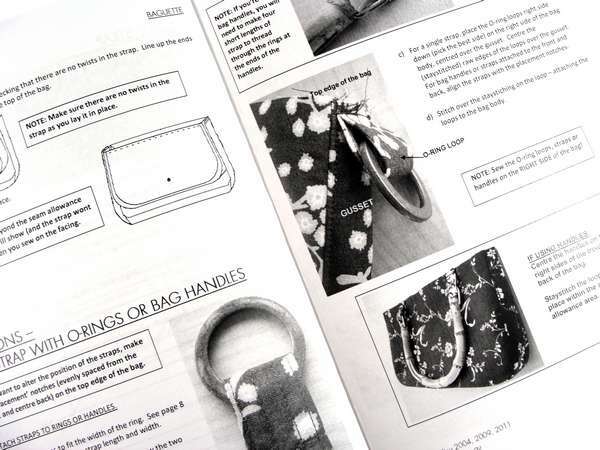 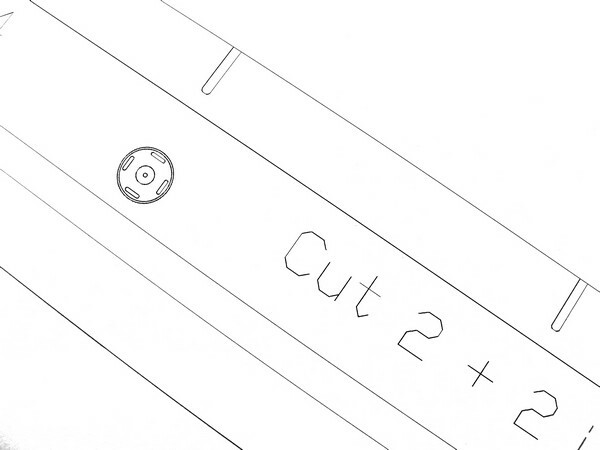 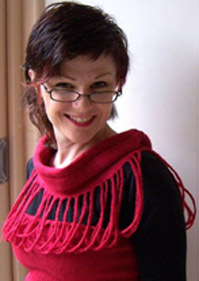 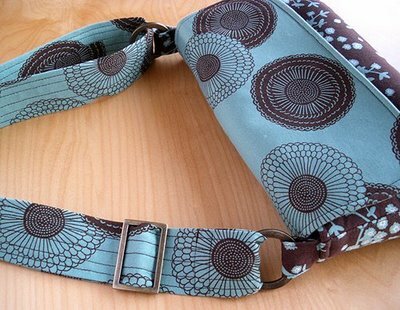 With this pattern you will learn to construct a bag with a curved gusset - which can be a bit tricky. 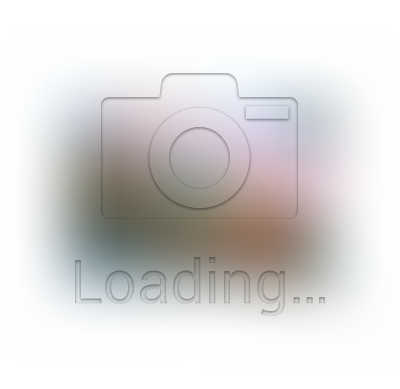 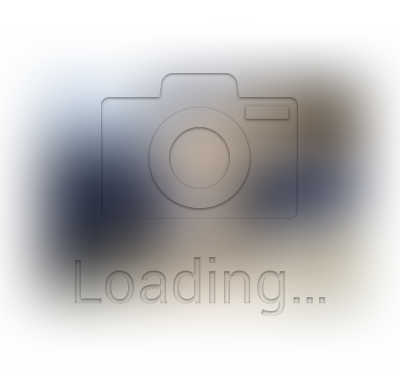 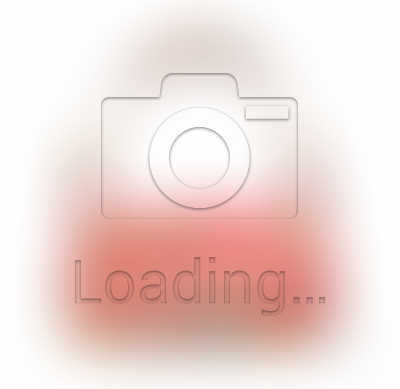 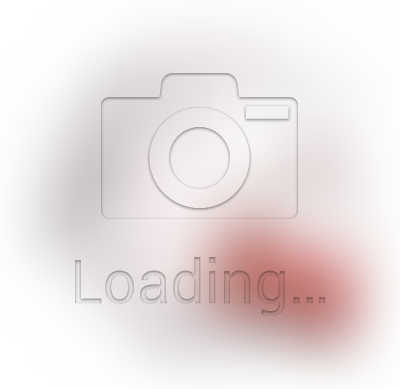 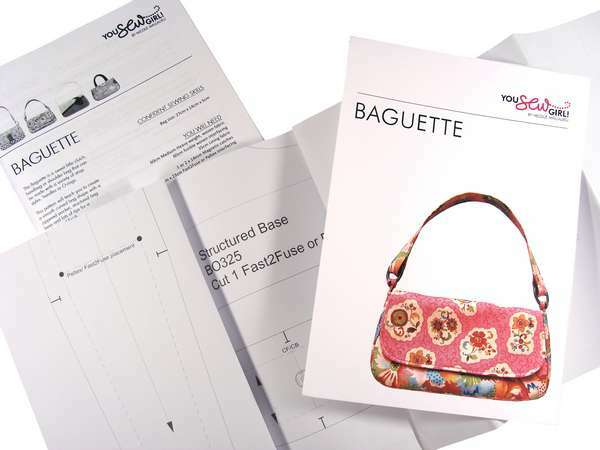 There are lots of tips to help you achieve good results with this! 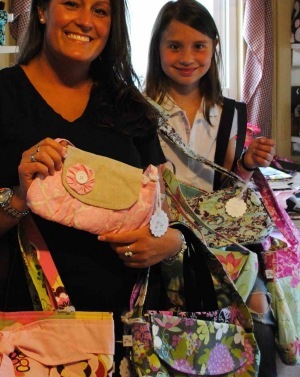 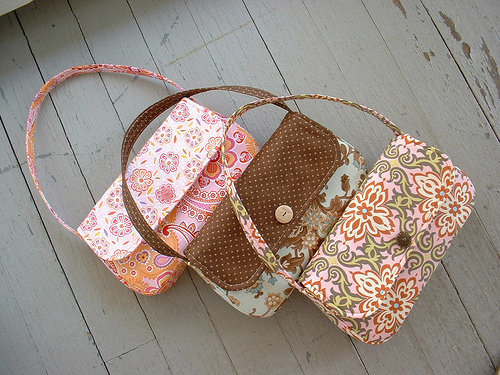 Vary the straps, fabrics and embellishments* to make a bag to match every outfit! 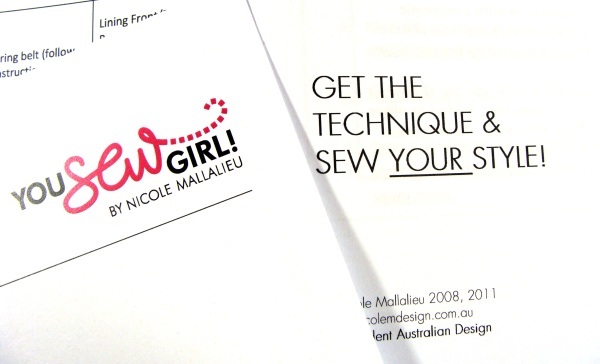 This pattern is suitable for those with substential sewing experience and ready for a challenge! 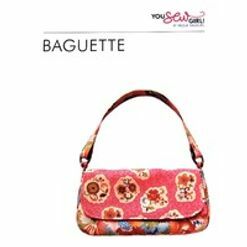 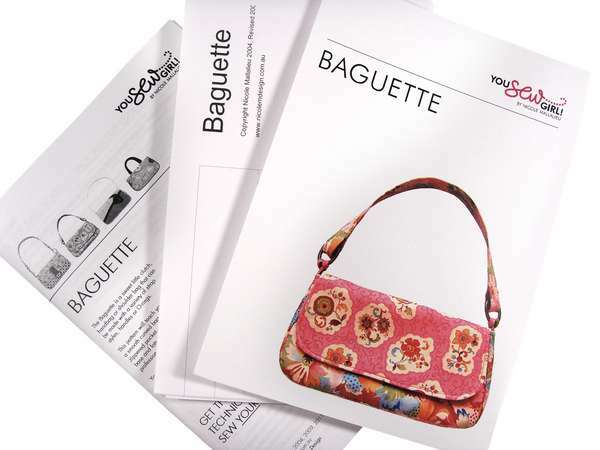 Making this Baguette bag will teach you many handy bag-making techniques, as well as providing you with a comfortable, practical bag that converts from a cluth to a shoulder bag, or a classic handbag. 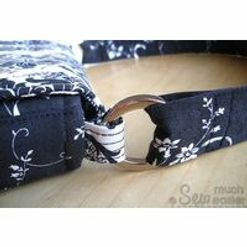 For the experienced sewists, this bag has curved edges on the flap and the body, and you will learn how to make the internal pockets and a zippered pocket for extra security. 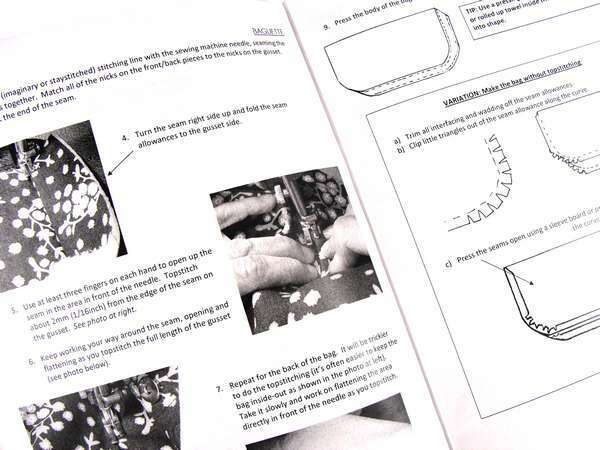 The details instructions are full of tips and techniques for a professional finish on all your handmade bags.